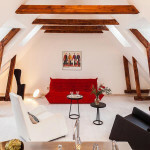 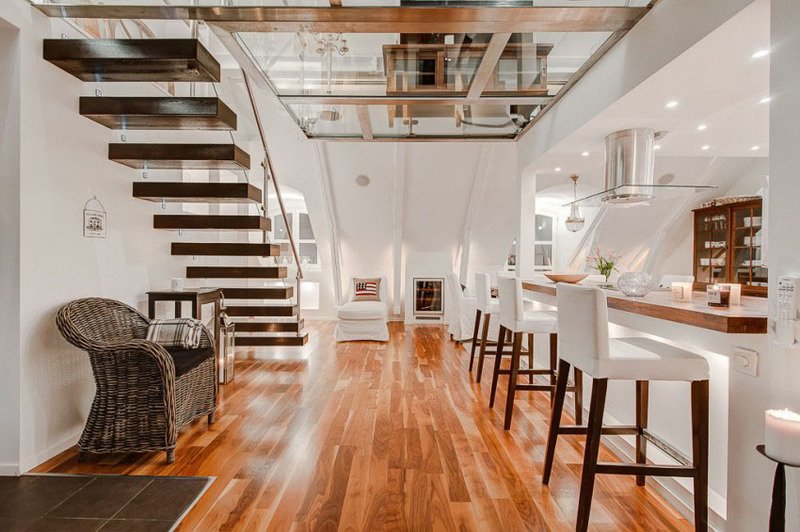 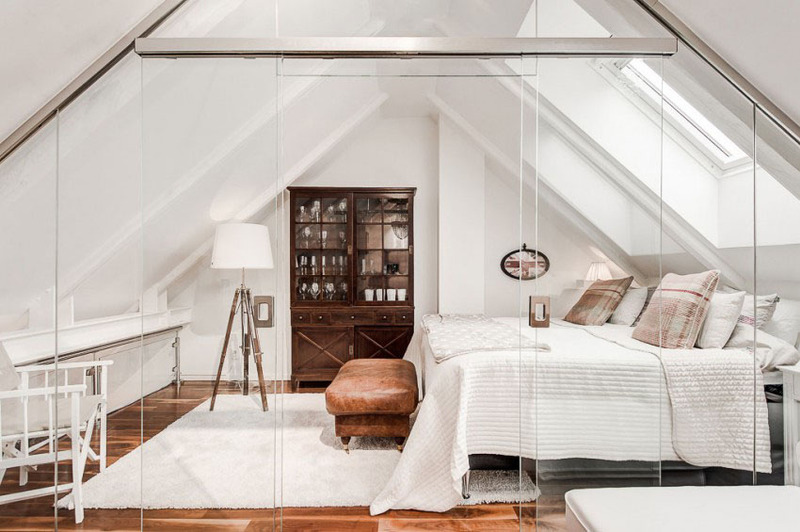 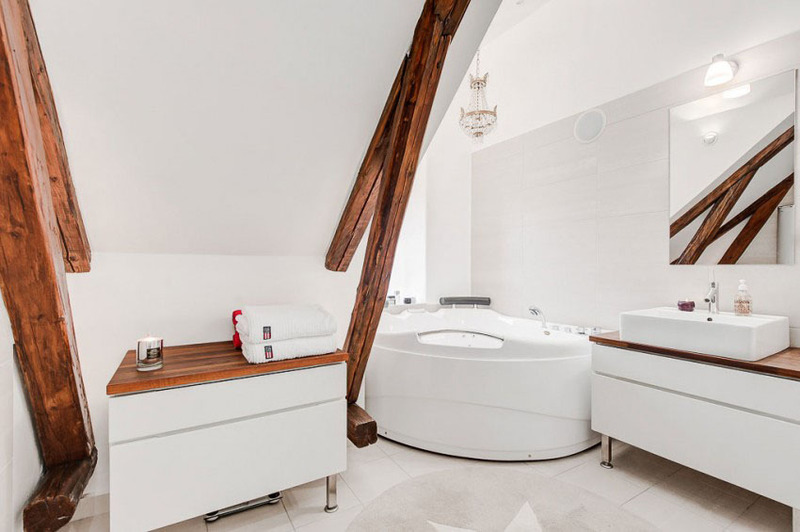 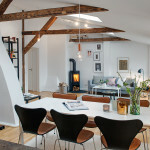 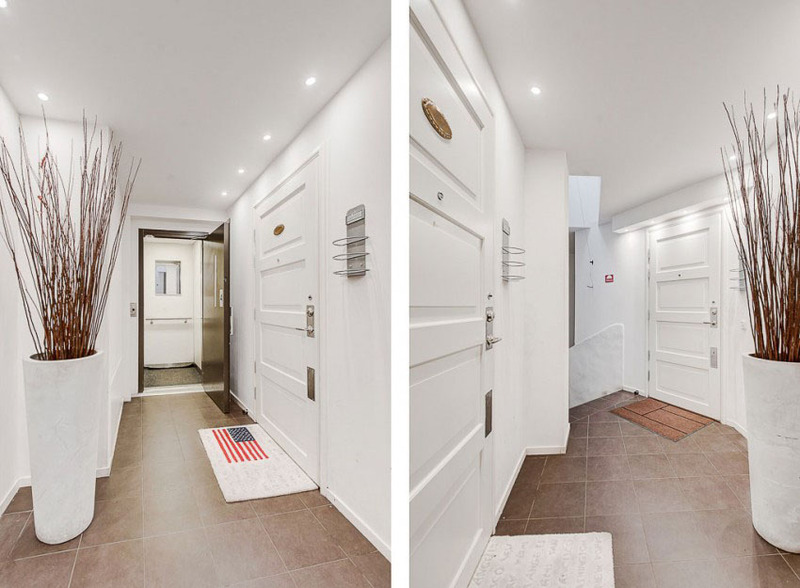 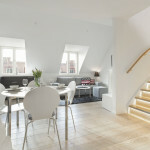 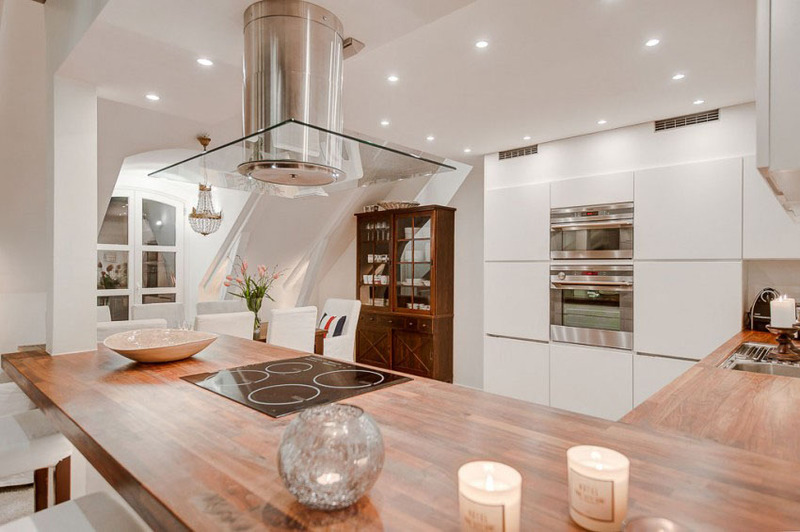 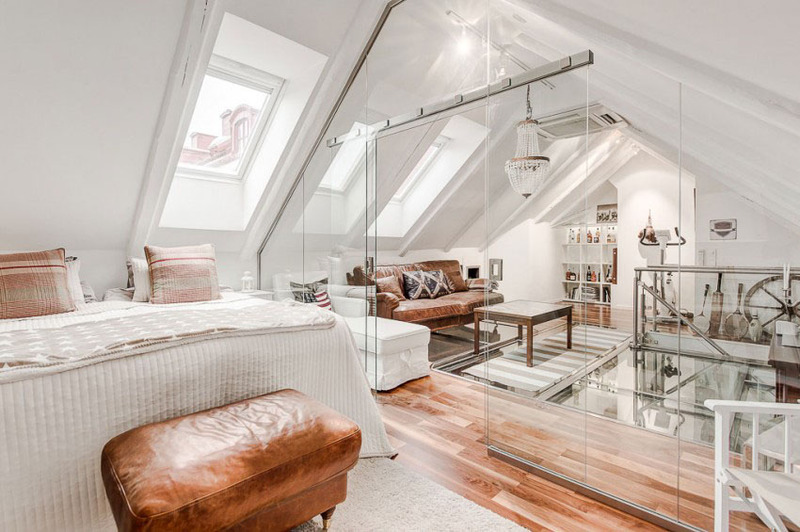 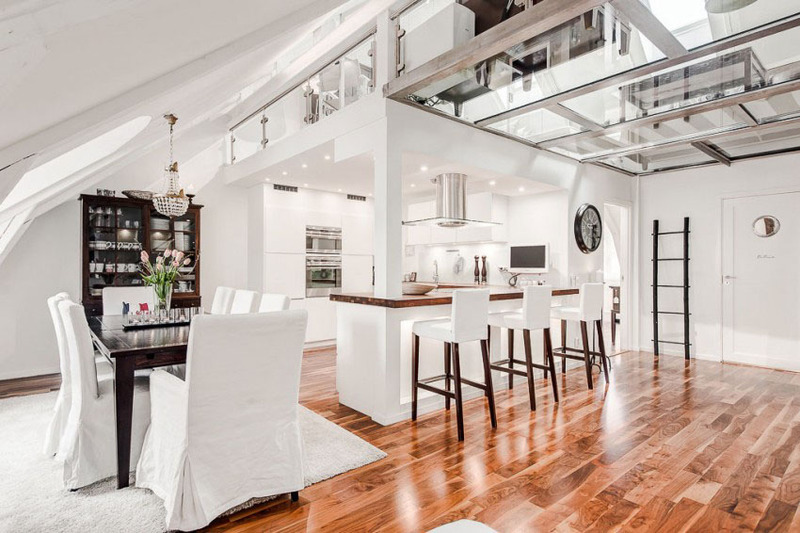 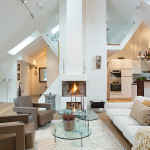 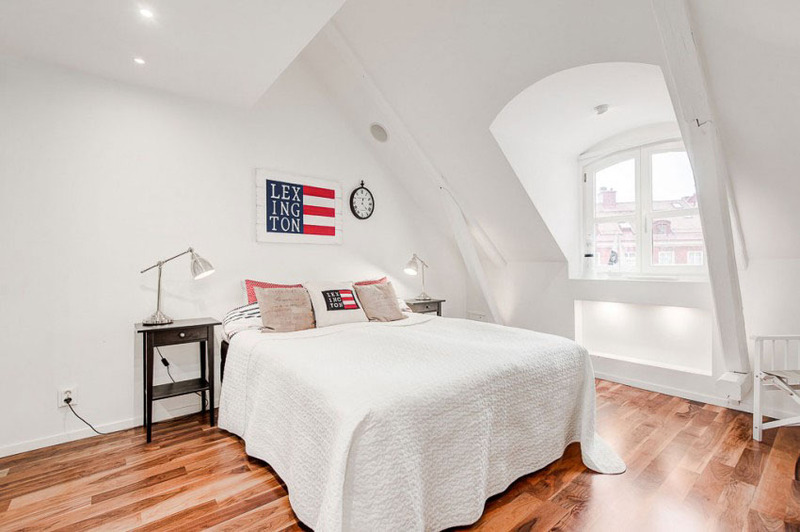 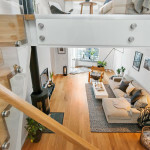 This bright and modern attic loft apartment in Stockholm, Sweden has a stunning and unique design which features glass flooring on the upper level and glass walls dividing one of the bedrooms. 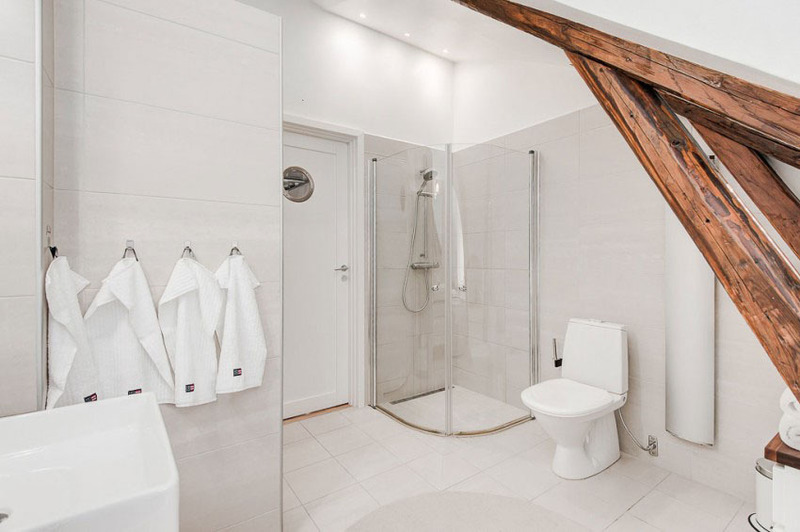 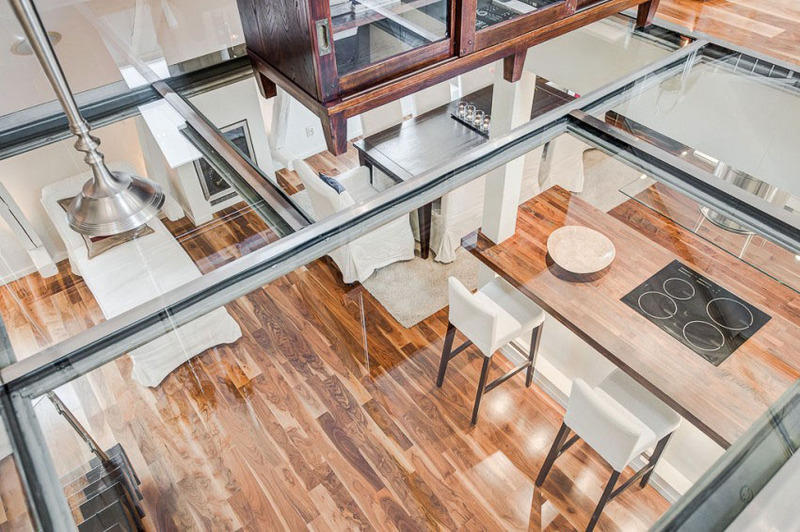 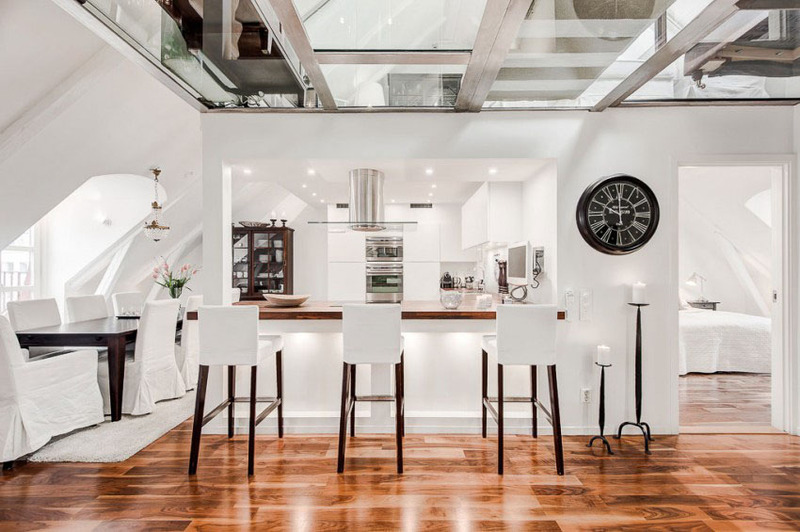 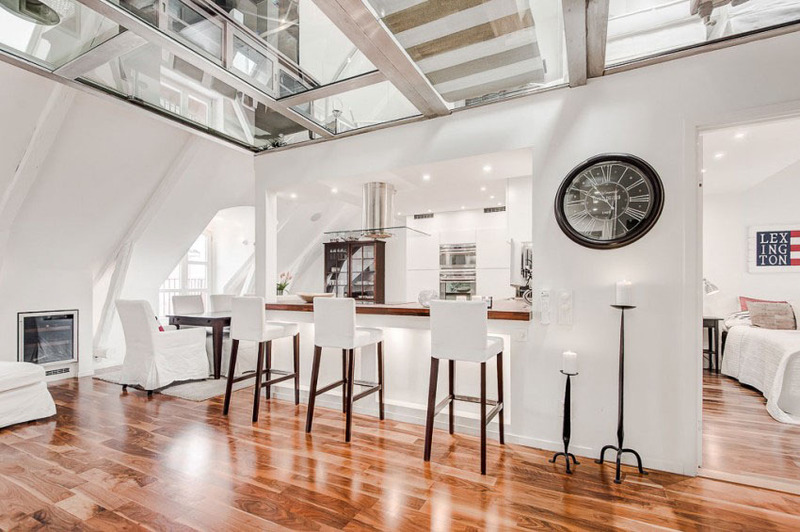 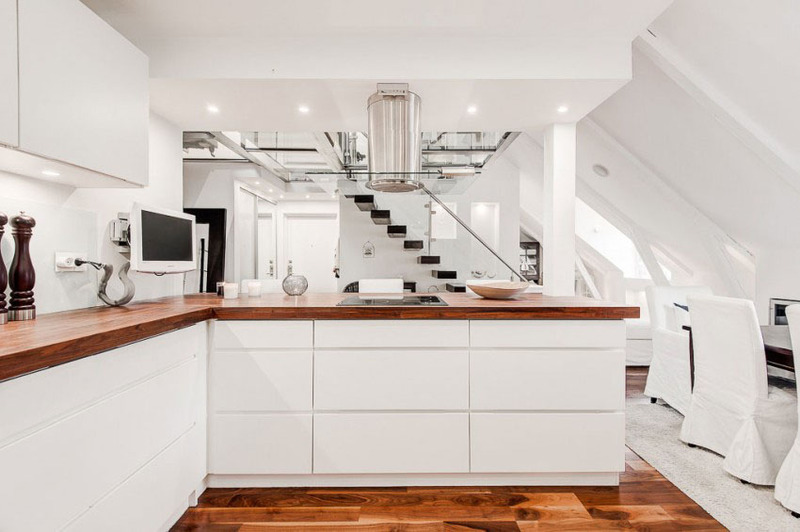 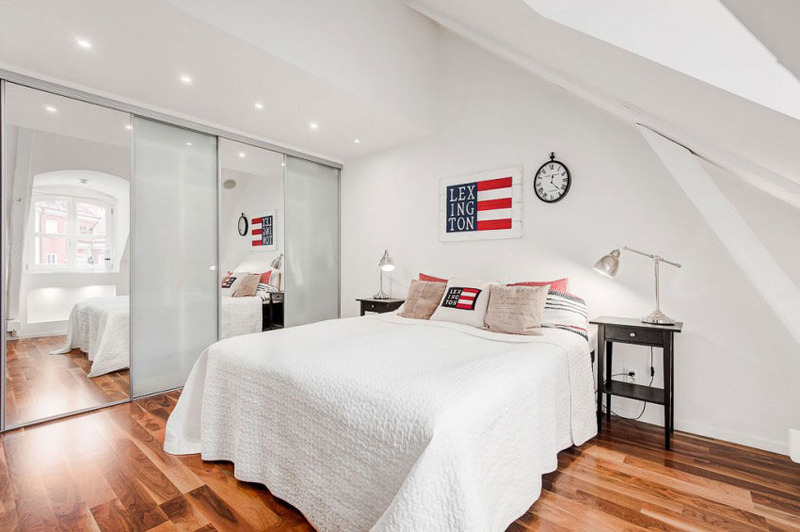 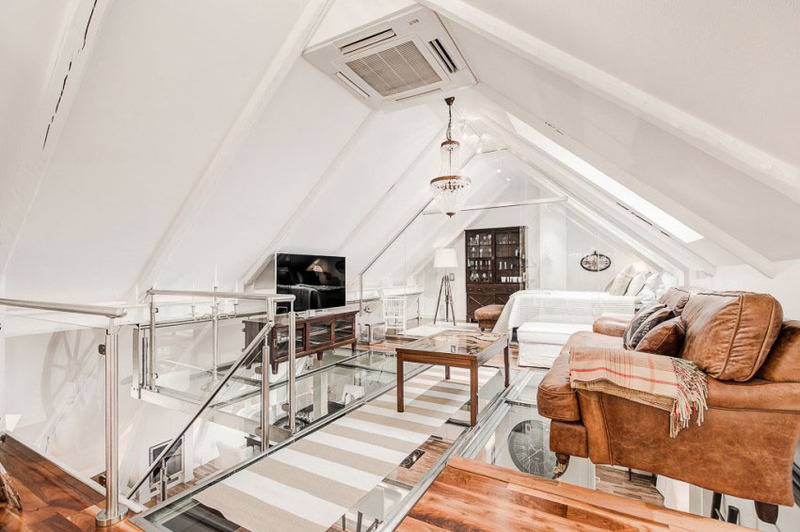 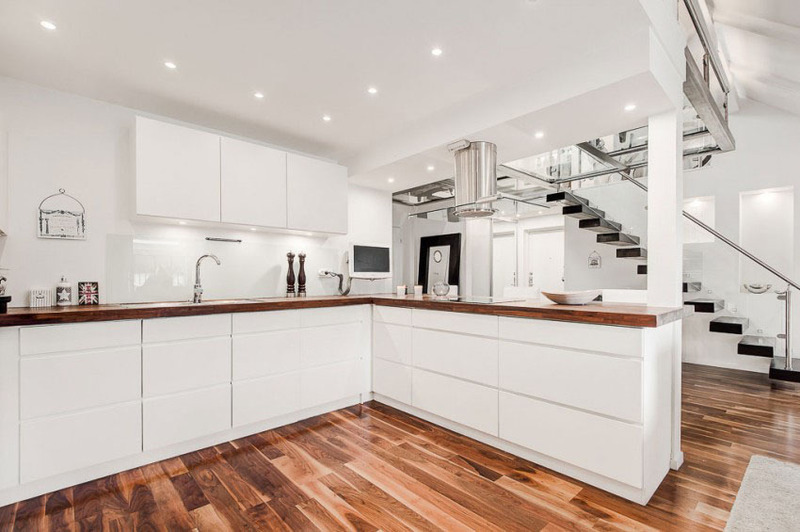 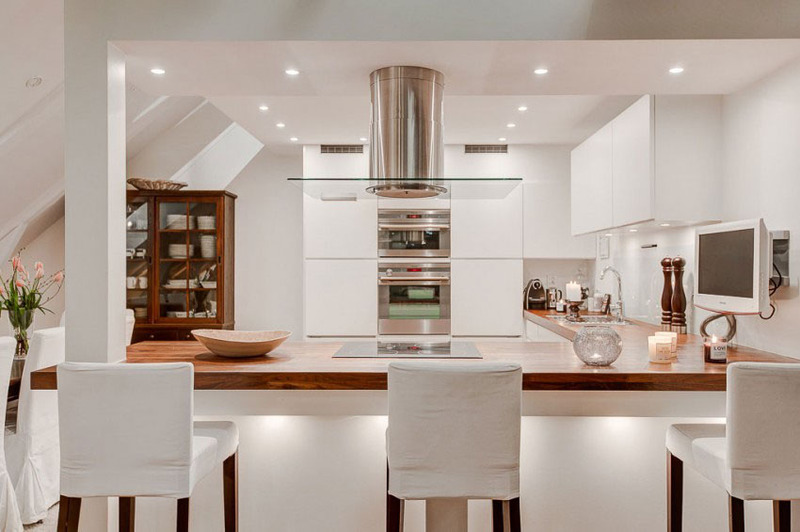 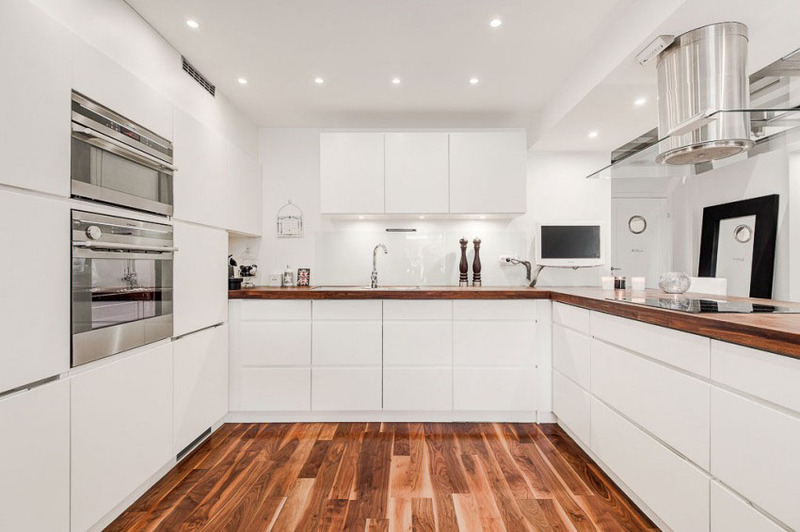 The use of wood and glass on an all white background has an elegant effect on the 1,260 square foot loft. 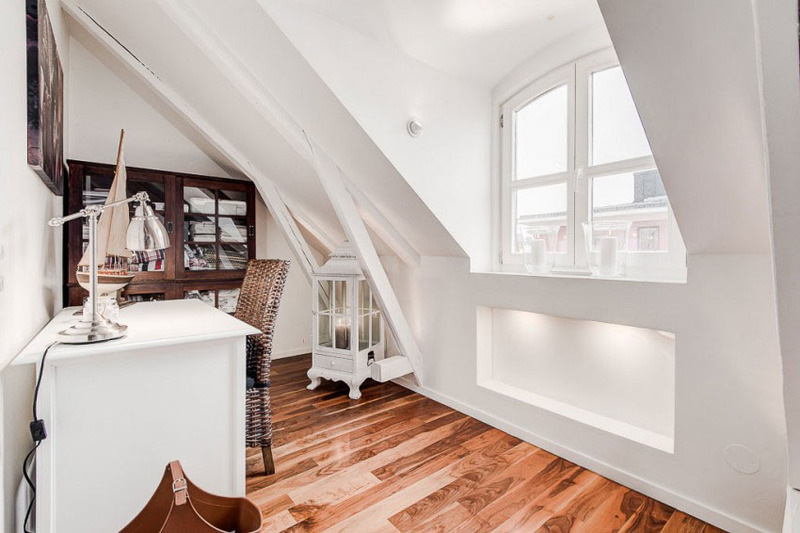 Natural light from the attic windows comes through the glass allowing plenty of light to filter through the whole apartment.